The International Chamber of Commerce (ICC), the world business organization, has today launched the ICC Academy – setting a new standard for professional education. Delivered via a digital platform, the Academy will provide rigorous, relevant and applicable business education – encouraging individuals to reach their highest potential with respect to professional competency and ethical conduct. The Academy is launched in partnership with International Enterprise (IE) Singapore, the government agency that promotes international trade and assists Singapore companies to internationalize. Singapore Minister for Trade and Industry Lim Hng Kiang, and ICC board members were present at the launch of the ICC Academy, which aims to enhance the expertise of practitioners across a wide range of business sectors. IE Singapore and ICC share a common vision to promote global trade. The former’s role is to establish Singapore as a global trading hub while the latter promotes open trade and investment and helps businesses worldwide meet the challenges and opportunities of an increasingly integrated world economy. The ICC Academy is a successful partnership milestone for both parties in nurturing global business leaders and experts. It will serve as a centre of excellence and thought leadership for the global business community. Taking full advantage of ICC’s extensive global network, the ICC Academy promotes the highest standards of excellence in global professional education – providing a wide range of specialized programmes that are recognized worldwide. The courses are designed and taught by ICC’s unrivalled roster of experts and practitioners, incorporating insights from external senior business leaders and policymakers. As the world’s business organization, ICC has long provided training and certification programmes to help build business skills for the jobs of today and tomorrow. 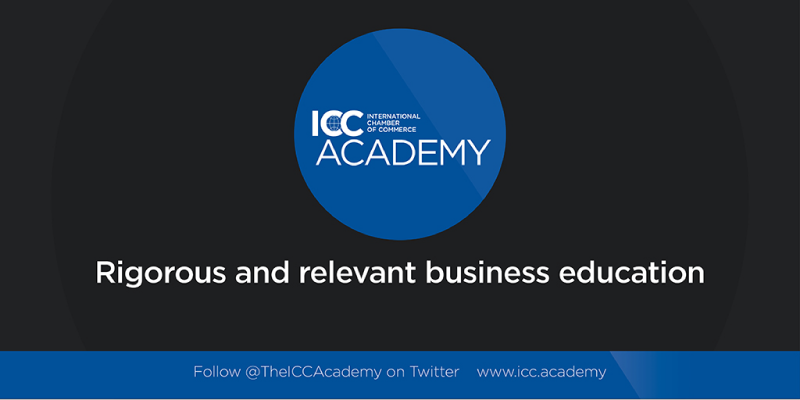 Follow the launch of the ICC Academy on Twitter @TheICCAcademy. Visit the ICC Academy official website.